A shutter of a shop or garage can be closed in several ways: with one or more locks per shutter, with one padlock per shutter or with a fastening unit. The locks fitted originally on shutters, such as those for garages, are normally quite weak from the mechanical point of view and are therefore very vulnerable to attack. If valuable goods are kept inside, for example the goods for sale in a shop, they should be replaced with more resistant products. You can try to replace the original locks with sturdy armoured locks for shutters, such as the 8271 (LINK), which is equipped with thick deadbolts, activated by the rotation of the key inside a half or double profile European cylinder. In this way the user can choose the preferred cylinder, which is then protected with the case-hardened security escutcheon supplied, the pull resistant shape and rotating anti-drill plate of which offer additional protection to the cylinder. The armoured locks for shutters replace those fitted originally, increasing the security. 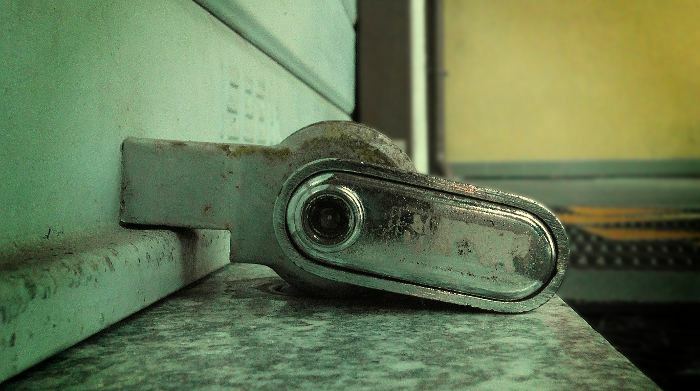 Good quality shutter padlocks, either armoured or one-piece, can be very strong, but they risk leaving exposed the floor fixing point, which can be attacked, for example with a crowbar. 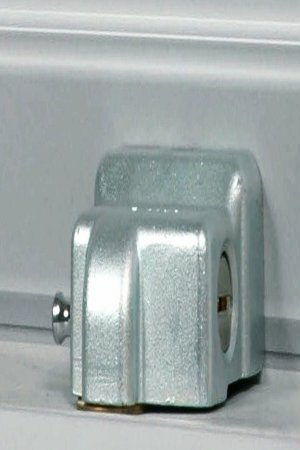 Shutter padlocks have the problem of leaving exposed the floor fixing point. The fastening units for shutters have, on the other hand, the advantage of having an armoured body which effectively protects the floor fixing point. For this reason, they are the most effective system for protecting a shutter. Shutter fastening units, such as Viro Nuovo Condor shown in the photo, have the advantage of having an armoured body that effectively protects the floor fixing point. The quality of the materials, in particular for the body: the best units for shutters have one-piece steel bodies. 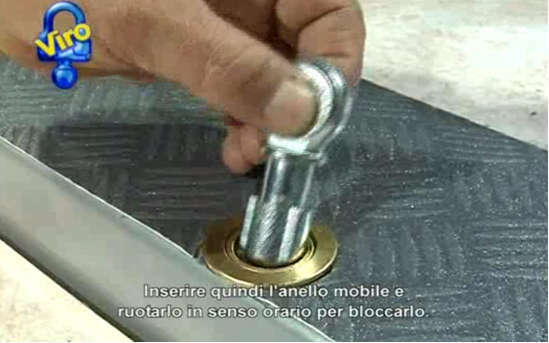 The presence of an anti-drill plate to protect the lock (This video shows how the plate protects the lock from attacks by drilling). The possibility of setting up key systems (master key, keyed alike, etc. ), which are very useful for whoever must manage multiple shutters of shops, offices, etc. The grip of the lock-bolt with programmed breakage point to provide pull-resistance, so that a brute force attack cannot damage the mechanism, but at worst breaks the head of the lock-bolt at a predetermined point. The profile of the security or registered key, which protects against the making of illegal copies. The rounded shape of the body to prevent it from being blocked whilst it is attacked. The number of pins of the lock (the Viro Condor, for example, uses 7 pins) which determines the number of different possible combinations (more combinations = greater security) and the materials from which it is manufactured. 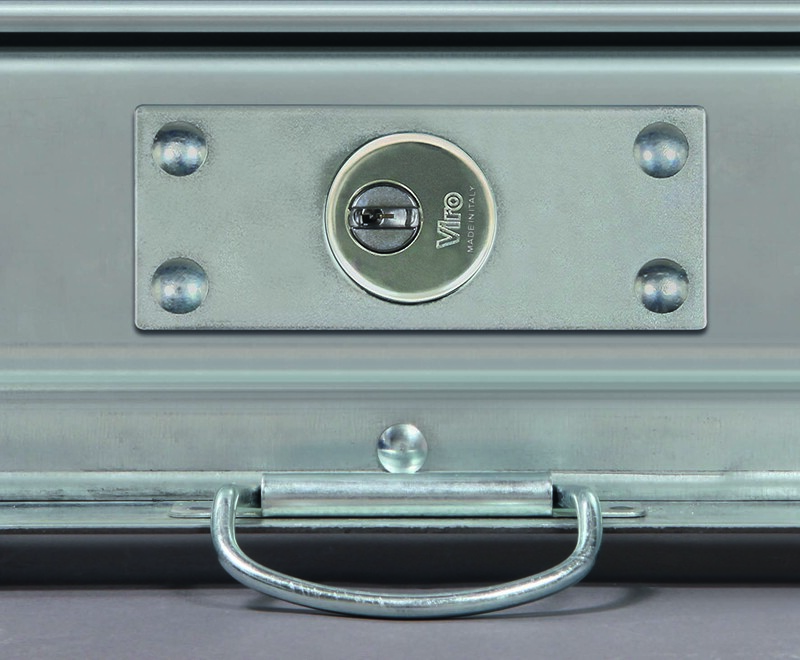 Some fastening units, such as the new Condor Viro, allow a European profile half cylinder to be used as a lock, which is replaceable with a simple operation, thereby allowing the choice of a cylinder which best meets the needs (e.g. with the same key already in use on other cylinders). Like all the other mechanical security devices, even the effectiveness of a fastening unit depends very much on how it is installed and used. In particular, it is important to ensure that there is not enough gap between the unit and the floor to insert a tool (such as a crowbar) in order to lever and attempt to pull the pin from its seat. Of course, the mortar which fixes the bell to the ground must also be of good quality; in fact, the bell houses the removable ring in which the lock-bolt of the fastening unit passes when it is closed. Insertion of removable ring in the bell cemented to the ground. 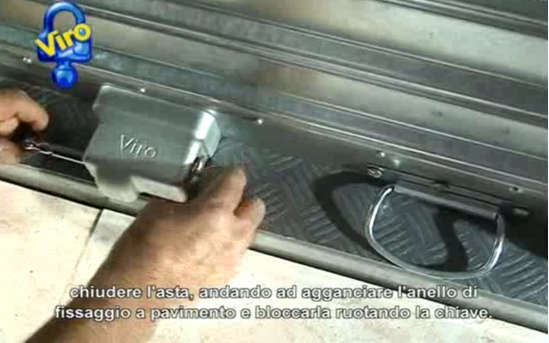 Closure of the lock-bolt of the fastening unit (the photo shows a Viro Nuovo Condor) on the removable ring inserted in the bell cemented to the ground. The Viro website shows the catalogue of Viro fastening units which meet all quality requirements seen above. This entry was posted in Locks and Cylinders and tagged garage, shops, shutters on 12 June 2018 by Mara Rossi.